The port tester program is for testing connections to the machine the program is running on since it opens the port on that system and listens for a connection. 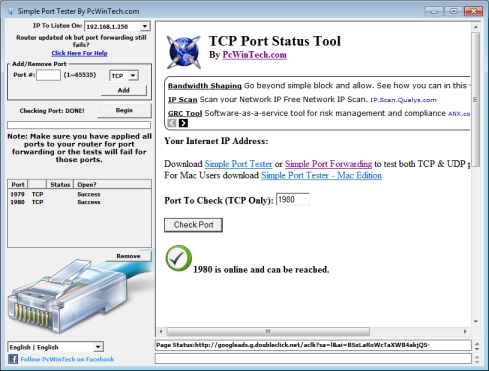 If you need to test connections to other devices such as your security cameras then you can use the online port tester here. As of version 2.0.0 and newer of the program now tests both TCP & UDP ports. Download, install and run it. Put in the port you wish to test and hit begin, that's it!